Do your animals have dry, itchy skin or minor wounds? 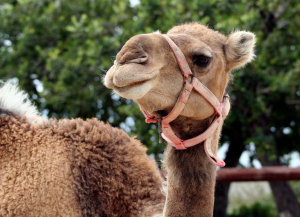 Camels have benefited from Camrosa for dry, itchy skin. It has been used on a wide variety of animals with great success. No matter the size of the animal, the ointment is beneficial in stopping itching, promoting the natural healing process and maintaining healthy skin. It promotes the natural healing process of cracks, sores, callused skin, fixed scabs, superficial wounds and soothes itchy, irritated, dry skin, keeping the skin supple. Good skin condition is necessary for healthy hair regrowth. The ointment also maintains good hoof condition and promotes healthy horn growth. We provide links on some of the cases listed below so that you can see how effective Camrosa is on other animals for this purpose. 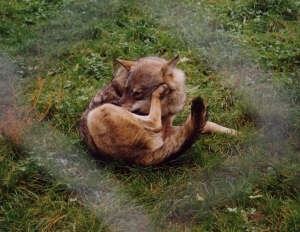 Please also look at other animal sections on the site as you may find your animal has a similar problem even if it is a different species, and Camrosa Ointment may be beneficial. 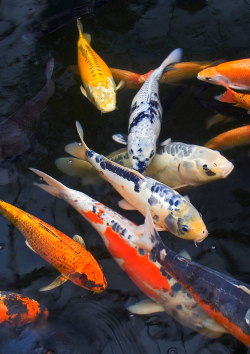 Camrosa has been used on Koi Carp against parasites and scale damage. Deer: as a barrier to midges. More research is needed though on the use of our ointment on fish. Foxes: dry itchy skin and open sores. "... little hedgehog came to us on 12th August 2007 with very serious damage to the crown of her head. My wife Anne tried several methods to help heal the wound but ended up using your Camrosa Ointment. We have used it before on hedgehogs with great success and … it’s been successful again." G. Mayfield, Shiremoor Hedgehog Hospital, Tyne & Wear. Lizards: on a wound caused by another lizard biting off the tail! Alba scratching, probably due to mites. Camrosa clears the mites, soothes the irritation, stops the itching and promotes the natural healing process of the skin.